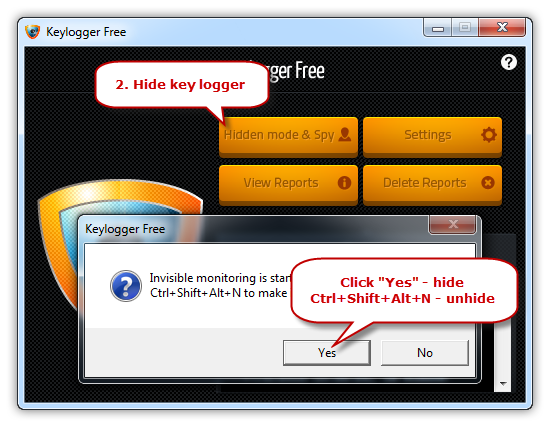 Keylogger Free can run completely invisibly without alerting a user that their computer is being monitored. If you need to discreetly monitor computer activities, you can make the program running in hidden mode – no trace of the software appears on the Desktop or in the System Tray, the Task Manager. 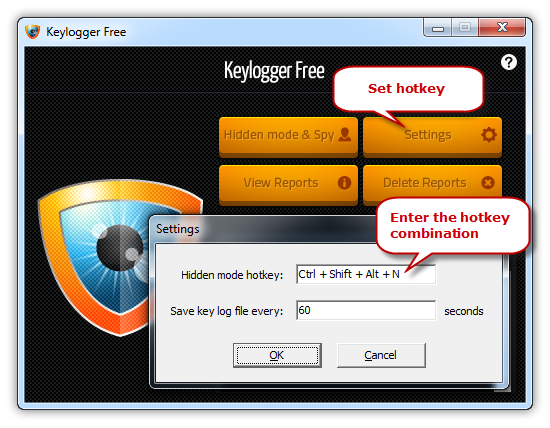 Keylogger Free is easy to use and it will immediately start recording the keystrokes once launched. 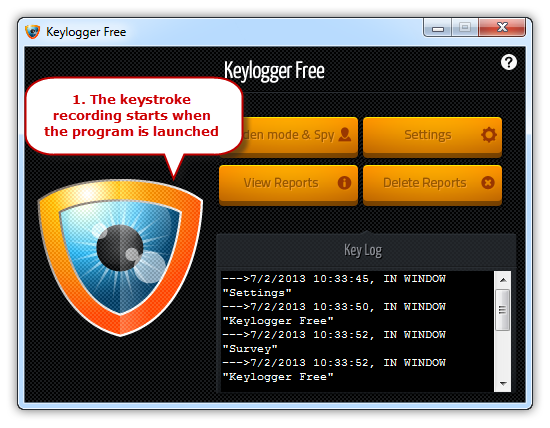 You’ll instantly see the keystrokes you have pressed displayed in the “Key Log” window. You can click “Settings” to set the hotkeys. Enter the hotkey combination you wish in “Hidden mode hotkey”. For example, to set a hotkey to “Ctrl + Alt + M”, press the Ctrl, Alt and M keys together. If you press a single letter or Shift plus a single letter, the hotkey will default to “Ctrl + Shift + Alt + the letter you pressed”. To clear a hotkey that has been set previously, press Delete or Backspace.